Just wanted to upload some pics of this delicious fresh cherry filling I wrote about in a previous post. All in all, if you like cherry pie, cherry filling for a cake (like I’m going to be using it for), or cherry topping for ice cream or cheesecake, this is the simplest and tastiest recipe out there. Good luck and bon appetit! 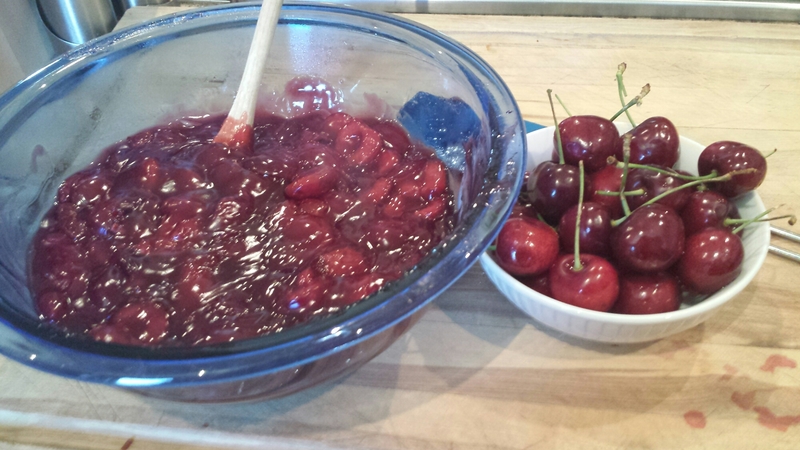 Pitted cherries mixed with all other ingredients and ready to be cooked down! Cherry filling about to come to a boil. Finished product next to cherries in their original state!